Banner design Copper Weathervane - Beautiful Polished Copper design weathervane. The weathervane is 39.5" H and is available in Polished Copper. 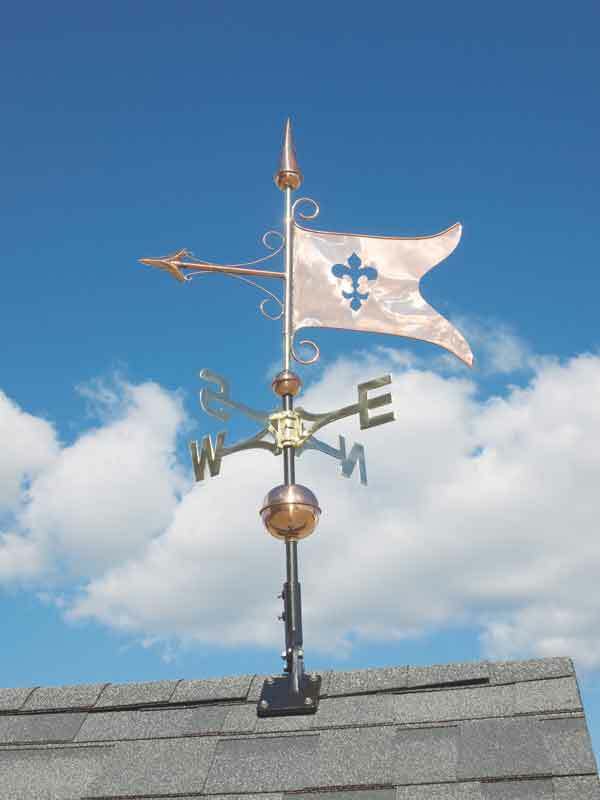 Each Banner Weathervane comes with an aluminum roof mount base. This distinctive Banner Weathervane will be a beautiful addition to your home, business or even that barn or garage on your property!